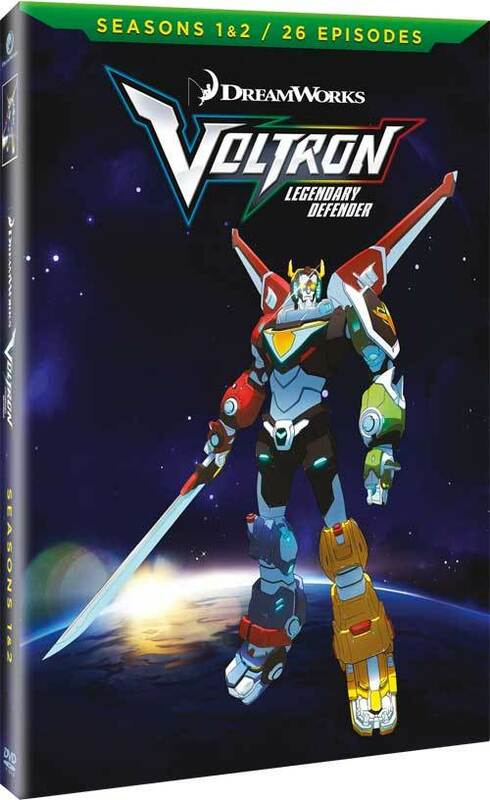 Prepare yourselves Voltron fans as Universal Studios Home Entertainment has announced that they will be releasing the first and second second of Voltron: Legendary Defender on DVD plus take a look at the official box art for the home release! 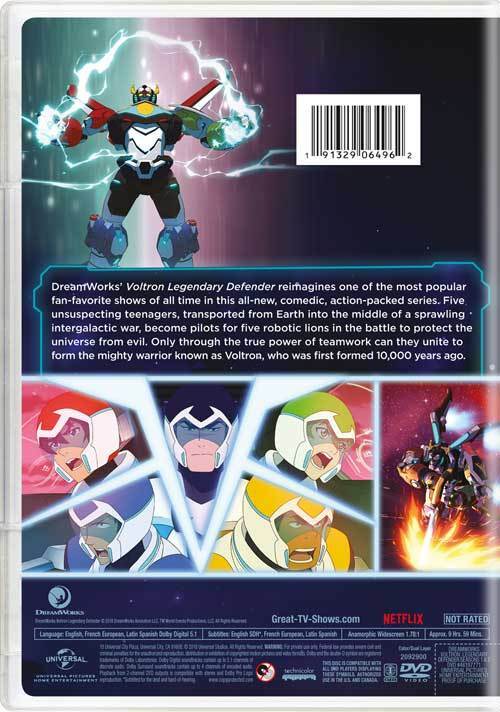 "DreamWorks’ Voltron Legendary Defender reimagines one of the most popular fan-favorite shows of all time in this all-new, comedic, action-packed series. Five unsuspecting teenagers, transported from Earth into thee middle of a sprawling intergalactic war, become pilots for five robotic lions in the battle to protect the universe from evil. 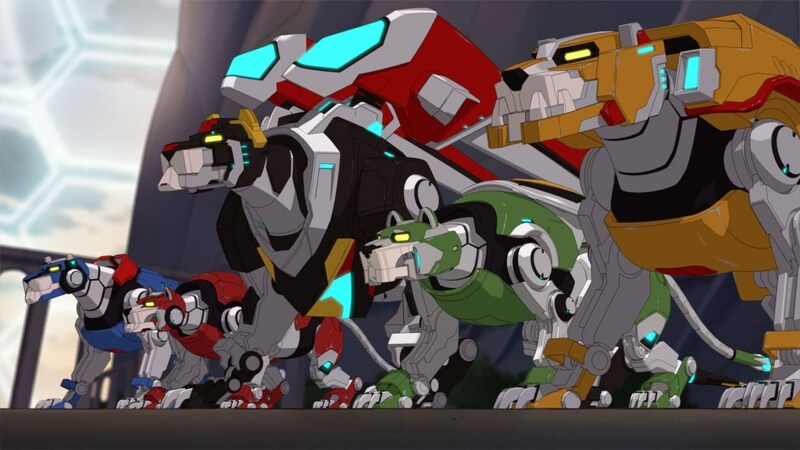 Only through the true power of teamwork can they unite to form the mighty warrior known as Voltron, who was first formed 10,000 years ago." The first 2 seasons will be released on a four disc set with no special features and is scheduled to go on sale this June 12 for the price of $22.98.